Amelia Coulter grew up in Santa Fe, New Mexico surrounded with the rich history and intertwined cultures of the region. She studied sculpture at SUNY Purchase and is based in Brooklyn, New York. She loves patterns, architecture, design, and decorative arts. She is inspired by regionally specific traditions and objects and is interested in the layers of information that they convey. 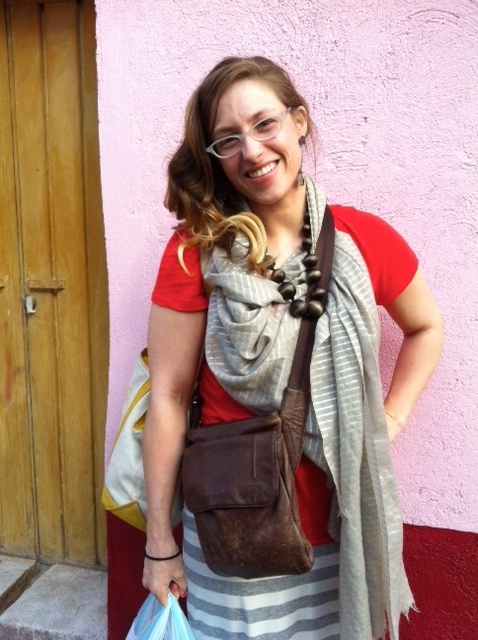 Amelia is passionate about food and seeks out the best ingredients available to create wonderful and unusual recipes. Using structurally strong and tasty sugar cookie dough and royal icing, she interprets imagery into small, detailed art objects. Amelia is committed to integrating organic, local and contextually appropriate products as much as possible. All cookies (unless noted otherwise) are bizcochito flavor, (anise, orange and cinnamon) with vanilla icing. This flavor is based on the traditional state cookie of New Mexico. We require a three day lead time for all orders. Individually wrapped favors will stay fresh in their packaging for two weeks. NYC Delivery and shipping available. Getting married? Launching a product? Quinceañera? Dreams attained? Let us design badass custom cookies for you. Shoot us an email and tell us what you’re looking for. 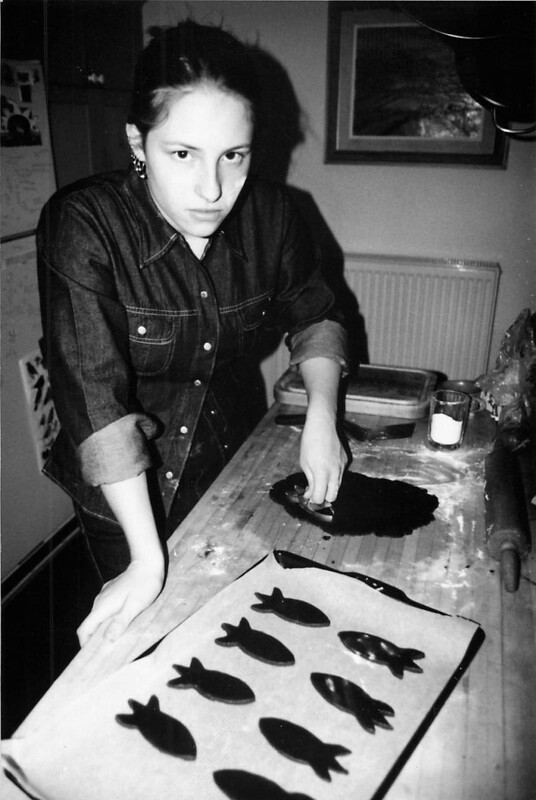 Amelia at seventeen, who asked her dad to make her a rocket shaped cookie cutter. She then made cookies to promote her zine “Rockets Away” which she made with her friend Steve.